This amazing (in oh-so many good and bad ways) film will to this day, confound any who see it. At the time, it was universally panned (so much so, that it was pulled from theaters just days after it's debut and has yet to surface on any sort of official home media). 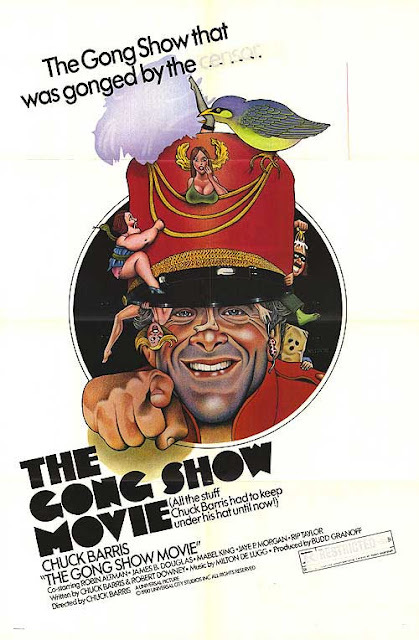 Shortly after, Barris sold the rights to his shows (Gong Show, Dating Game, etc.) for millions and moved to France to live in peaceful seclusion (sounds like a great idea to me; I just need to create something worth tens of millions of dollars, damnit!). Now, decades later and with much greater hindsight (Barris' memoir in which he claimed to be a hitman for the C.I.A. followed by George Clooney's annoyingly underdone 'Confessions of a Dangerous Mind'), there is a sense that we (the collective fans) have been a part of a major decades long put-on.